Although the United States is a nation founded by immigrants, Alberto Gonzales and David Strange believe that national immigration policy and enforcement over the past thirty years has been inadequate. This failure by federal leaders has resulted in a widespread introduction of state immigration laws across the country. 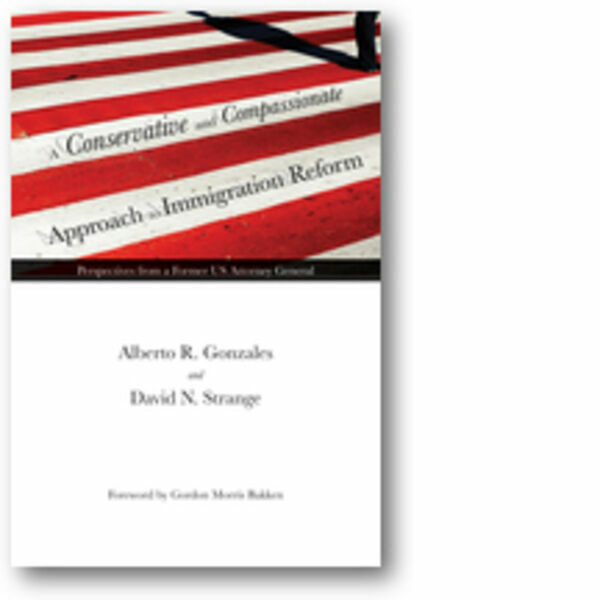 Gonzales and Strange assert that the solution to current immigration challenges is reform of federal immigration laws, including common sense border control, tougher workplace enforcement, changes to the Immigration and Nationality Act, and a revised visa process. Gonzales and Strange embrace many provisions of current pending legislation, but are sharply critical of others. Their proposals call for an expansion of the grounds of inadmissibility to foster greater respect of law and to address the problem of visa overstays, while also calling for a restriction on grounds of inadmissibility in other areas to address the large undocumented population and increasing humanitarian crisis. They explore nationality versus citizenship and introduce a pathway to nationality as an alternative to a pathway to citizenship. This immigration policy blueprint examines the political landscape in Washington and makes the argument that progress will require compromise and the discipline to act with compassion and respect.